A committed Adventist Christian. An effective evangelist. A secretary with an eye for detail. A great storyteller. An avid photographer. An admirer of God’s nature. 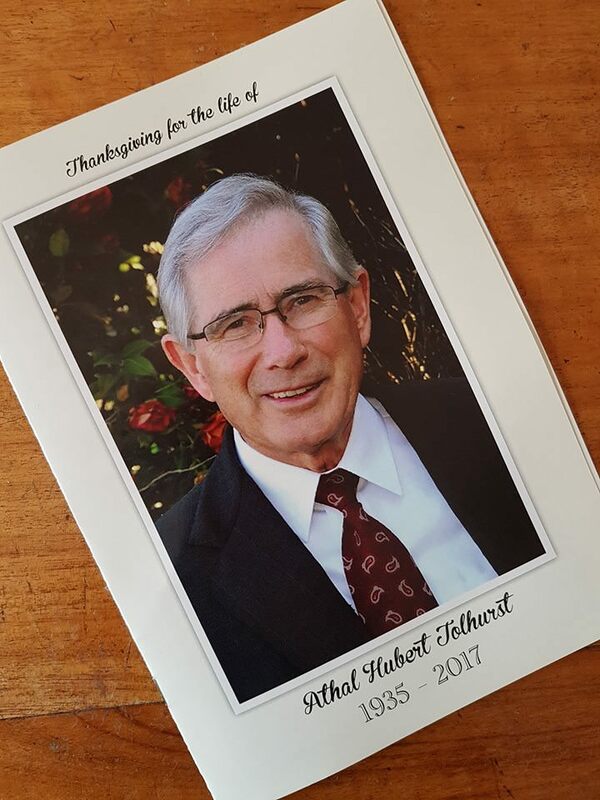 These are some of the laudatory phrases family, friends, and church leaders used to describe Athal Tolhurst, a former undersecretary of the General Conference, during a funeral service at Avondale Memorial Church in Cooranbong, New South Wales, Australia, on August 16. Tolhurst, who had a stroke while visiting his native Tonga earlier this month, passed away in Auckland, New Zealand, on August 7. Just before falling ill, Tolhurst, who actively supported his local church and the mission of the Seventh-day Adventist Church well into his retirement years, addressed a group of Tongan pastors living in various countries who had just finished an evangelistic initiative in that South Pacific island nation. His son Wes, a photographer, recorded his father’s message, unaware it would be his last. Tolhurst was born on January 4, 1935, to missionary parents in Tonga, where he spent the first five years of his life, before moving to Auckland, New Zealand. In 1956, he graduated from Avondale College, an Adventist-operated school in Australia, and began work as a pastor in Australia the year after. 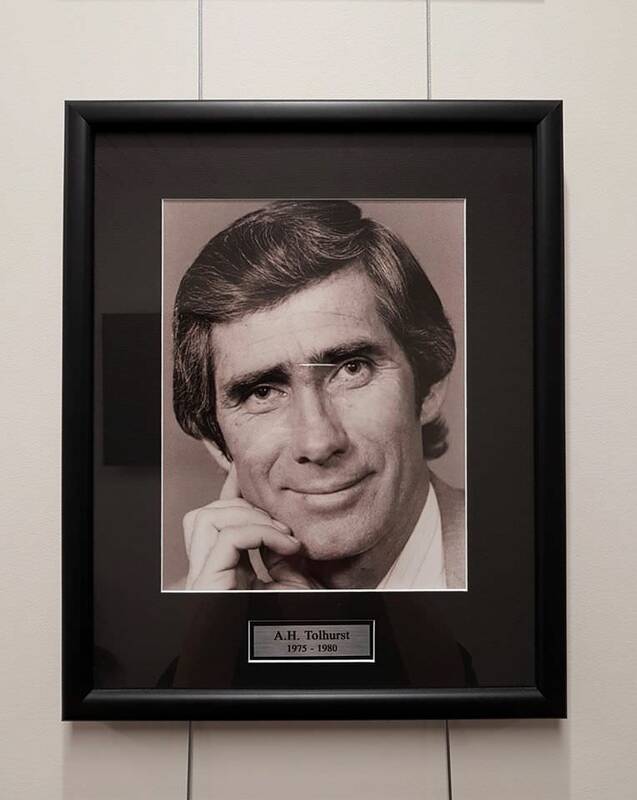 Ordained in 1963, Tolhurst continued working as a pastor and evangelist in Australia until he was elected president of the North New South Wales Conference in 1975. In 1980, he was elected president of the Trans-Tasman Union Conference. After five years in that position, Tolhurst was elected as secretary of the South Pacific Division, a position he served in until 1991. In 1992, he became undersecretary of the General Conference and served in that position until 2005, at which point he retired and returned to Australia. Vernon Parmenter, who worked alongside Tolhurst at different levels of church ministry and administration, said despite the pain of losing a friend, he felt there was much to be thankful for. He expressed gratitude “for the numerous lives that have been led to Jesus through his service. He will be sorely missed, but we know we will see him very soon,” he said, in a nod to the Advent hope in the second coming of Jesus. Tolhurst is survived by his wife of almost 60 years Linley, his daughter Kerrie, sons Dean and Wes, five grandchildren and two great-grandchildren. Tolhurst, his wife, his son Wes and two grandchildren landed in Tonga in the early hours of August 4, among other things, to reconnect with and share part of his heritage with some members of his family, said Paula Latu, a Tongan “brother” friend of Wes’ for decades. As an evangelistic series had just wrapped up across Tonga, Tolhurst was invited to address the group of pastors who had led the meetings. Many are serving abroad and had flown to Tonga to support the church evangelistic outreach in their home country. Latu shared that together with Wes, they had been invited to take some pictures of the crown prince and his family at the royal palace. They decided to invite Athal to come along. While Paula and Wes were on assignment, Athal stayed outside. In her tribute through a letter read at the service, Linley explained that her late husband loved nature. “He loved worshiping God in nature, and seeing God’s handiwork,” she said. On August 7, Tolhurst passed away peacefully. “He would have given his life for his faith in God,” wrote Linley. In a simple but moving funeral service, family and friends shared fond memories of Tolhurst and read a dozen letters his wife and sons received from around the world. Among the letters, the Tolhurst family shared a message from Tonga’s Crown Prince Tupoutoʻa ʻUlukalala. “We lost a devoted Christian missionary, and a great friend of the kingdom of Tonga,” wrote the prince. Tolhurst’s funeral ended with the moving video Wes recorded of his dad’s last message. Then Tolhurst added a statement that would become even more meaningful after his passing.